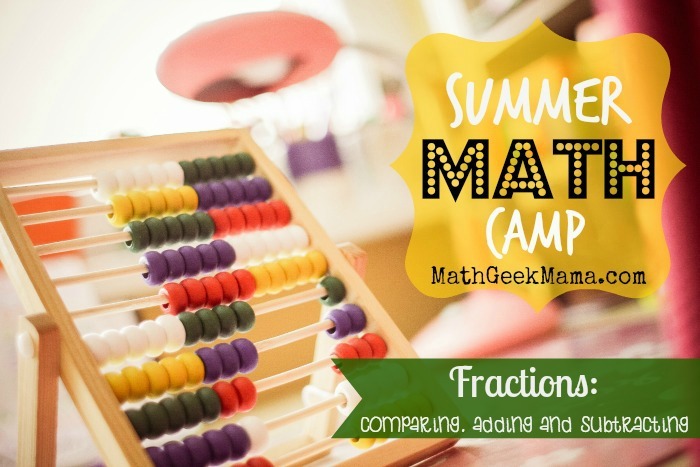 Welcome to week 3 of my Summer Math Camp! I have *loved* doing math and playing fun games with these girls and sharing our learning experiences with you! In case you’ve missed it, the first week we focused on operations with large numbers, including adding, subtracting, comparing and rounding. Last week, we worked on building a conceptual understanding of multiplication, as well as word problems involving multiplication. This week? Fractions! Honestly, my week last week was crazy and I did not have as much time to get myself organized, yet I still ended up with more plans than we had time for, haha! I read over the third grade standards regarding fractions to get an idea of what they should know, but I really had no idea what to expect in terms of prior knowledge. So I had a pretty loose plan this week so that I could focus on meeting them where they are. They had so much fun with these place value puzzles, I let them try out these fraction puzzles to ease into things and begin to visualize fractions. 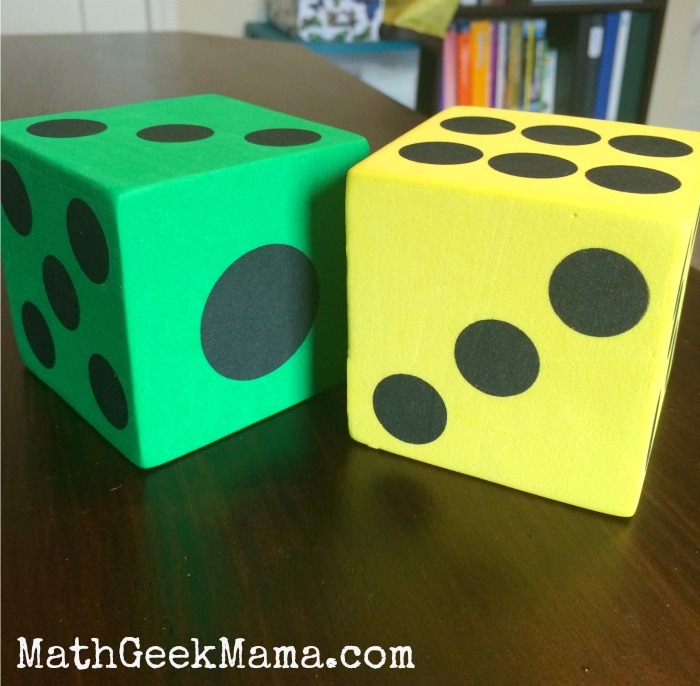 After having some fun with those and starting the discussion, I wanted to create some fractions and try and place them on a number line so we could discuss, “what is a fraction, and what do all these numbers mean?” To create some fractions, I let each girl roll two giant foam dice (similar to these) and they used the two numbers to write down their fraction. Ok. Time to back up. I got out my fraction squares (though I really prefer these fraction tiles, but I don’t have any yet) and we used them to compare 1 whole square with two fourths pieces and saw that it is indeed smaller. We then compared that to the one half piece, and saw that they were equal! Then we went back to the number line and they understood that 2/4 would be right in the middle of 0 and 1. We then continued to do this with each of the fractions, using 1/2 as a benchmark on the number line. 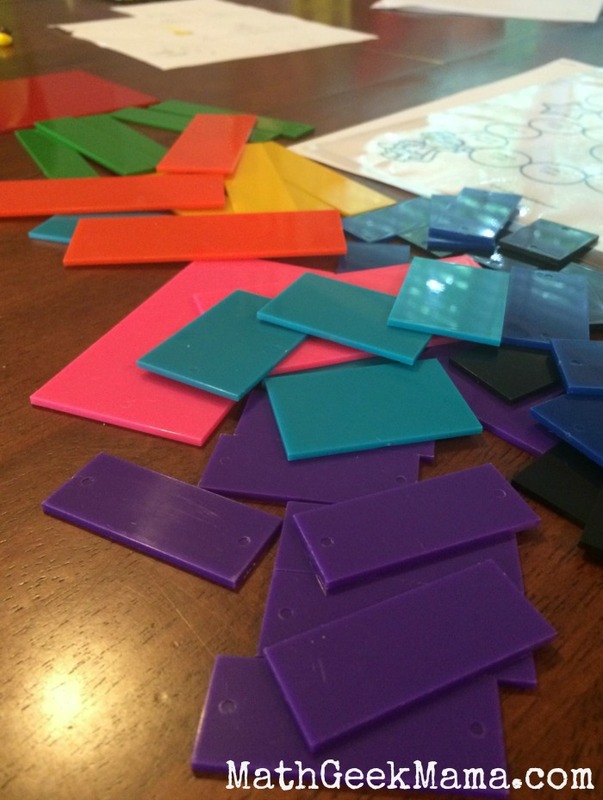 We also spent time (with pretty much every fraction we looked at) discussing the meaning of the numerator and denominator in relation to the fraction square pieces, much like in this post at Math Coach’s corner. Then they were so excited about doing multiplication with skittles, they BEGGED to do fractions with skittles too! This was not part of the plan, but why not, right?? This provided yet another discussion of the meaning of the numerator and denominator in context! So I got out my giant bag of skittles (yes, it is huge. Entirely too many skittles. We may find a way to use them in each of our remaining weeks, ha! ), I gave each girl 6, and told them to write a fraction to represent a portion of their skittles. They immediately started throwing out random fractions, so I got 6 skittles to explain my thinking. 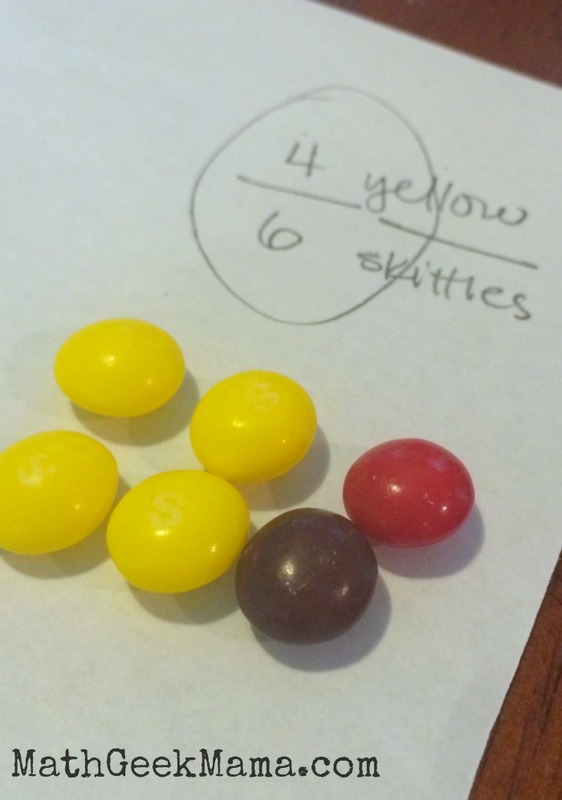 I had 4 yellow skittles, so I wrote the fraction 4/6. I asked them if they saw where I got those numbers and what they mean, and they were still at a loss. Once we had eaten all of the skittles, they were ready to move on. The last thing I wanted to review with them was adding and subtracting fractions (with common denominators) and continue to practice comparing. I made this simple game and they had a blast! Simply print the game board and question cards, laminate them , cut out the cards, and you’re ready to play! 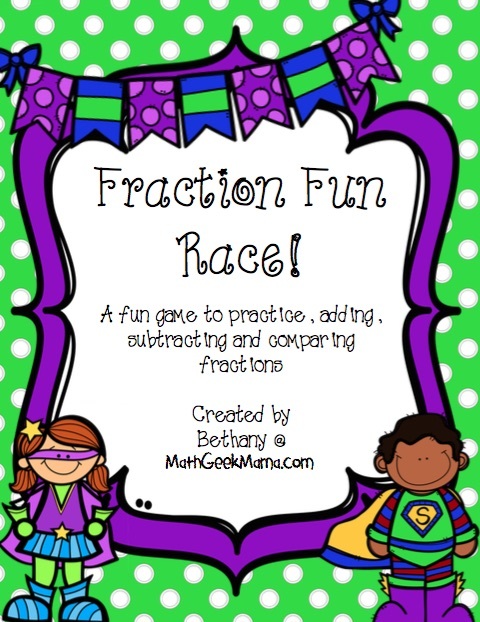 There are 30 game cards that include adding, subtracting and comparing fractions. There was not much trouble with adding, except to review what happens to the denominator. In order to add 3/10 + 5/10, we again pulled out tenths fraction tiles and added them to see that we still have tenths pieces, so no need to add the denominator values together. We also pulled out the tiles anytime there was a comparing question (and continued to use 1/2 as a benchmark), as well as when one of them got the question 1-1/3. I reminded them of “regrouping” in subtraction, and showed them how to rewrite 1 whole as 3 thirds (3/3). Then we “took away” 1 of the tiles and saw that 2/3 remained. To help them continue to work on visualizing fractions and equivalent fractions, I sent them home with this freebie from Jan Lindley. 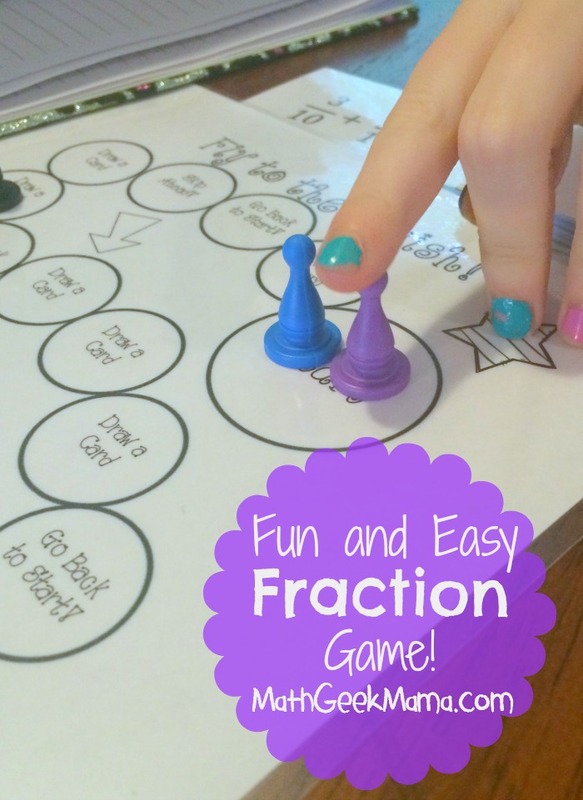 Overall, I felt like they did a great job, and hopefully started to get a better grasp of what fractions represent, rather than simply memorizing procedures. And if you have older students who are working on more advanced problems with fractions and decimals, I have a whole page of practice worksheets that you may find useful (these are appropriate for grades 6-7). 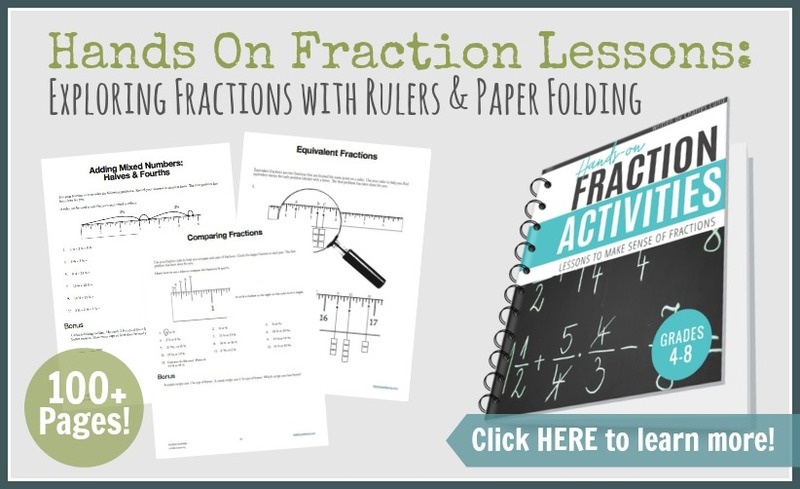 Have fun teaching and exploring fractions with your students!